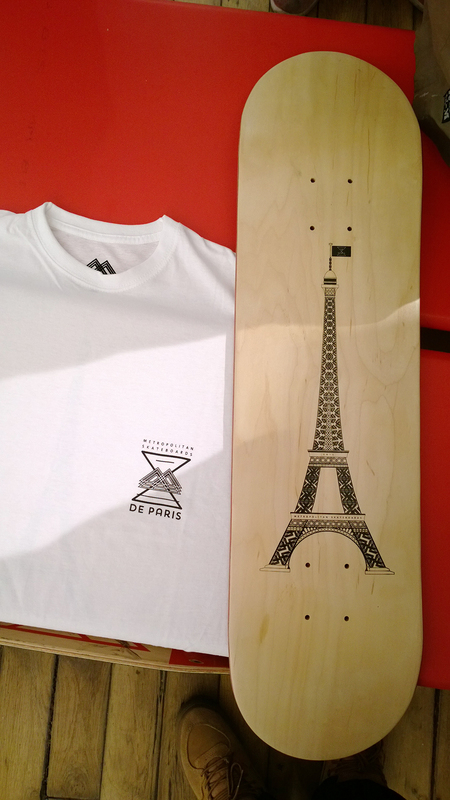 On the occasion of the release of DE PARIS YEARBOOK‘s second edition, Metropolitan Skateboards has teamed up with this parisian crew to release a limited edition board and a tee-shirt, our way to celebrate this launch. 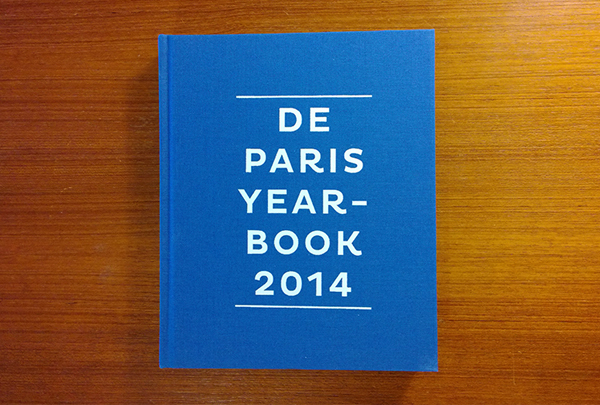 DE PARIS YEARBOOK is a photo book that sums up what happened in Paris during the whole year 2014, skateboarding wise. 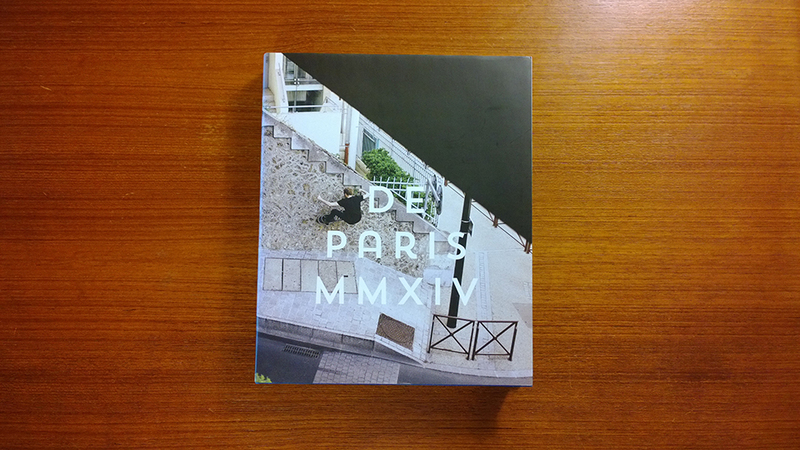 It includes photographs from 38 different photographers with special features from photographers and artists: Nicolas Huynh, Benoit Renaux, Eric Antoine, Artus de Lavilleon, Felix Schaper, Thibault LeNours and Maxime Verret. 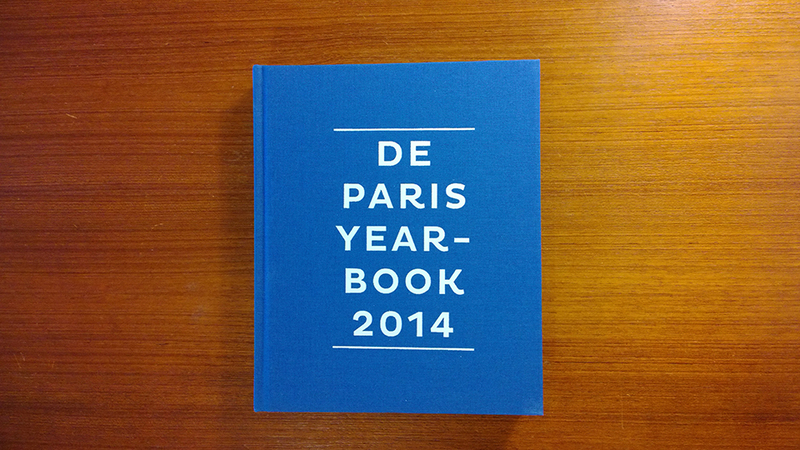 Pictures of skateboarders from all over France and from abroad can be seen in this volume. 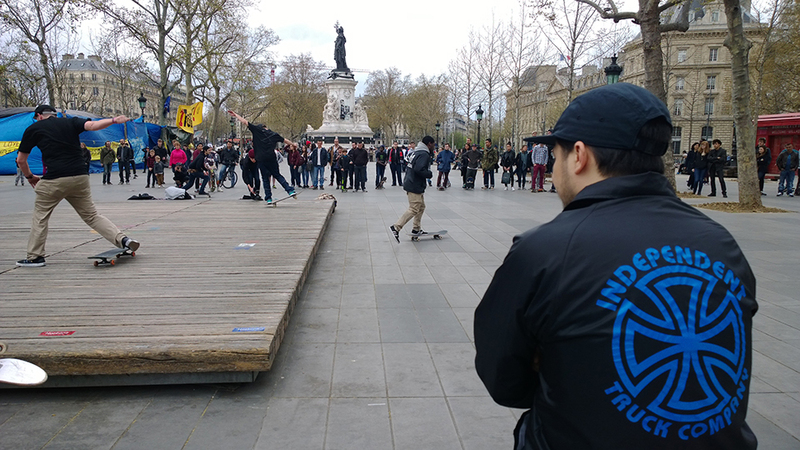 Metropolitan skateboards team riders Yann Garin (may 5th’s page) and JJ Rousseau (november 12th’s page) have been granted here with a full page photograph, both shot by Alex Pires. The launch night was also an art opening, showcasing some prints and artwork from some of the photographers featured in the book and a video premiere night too. 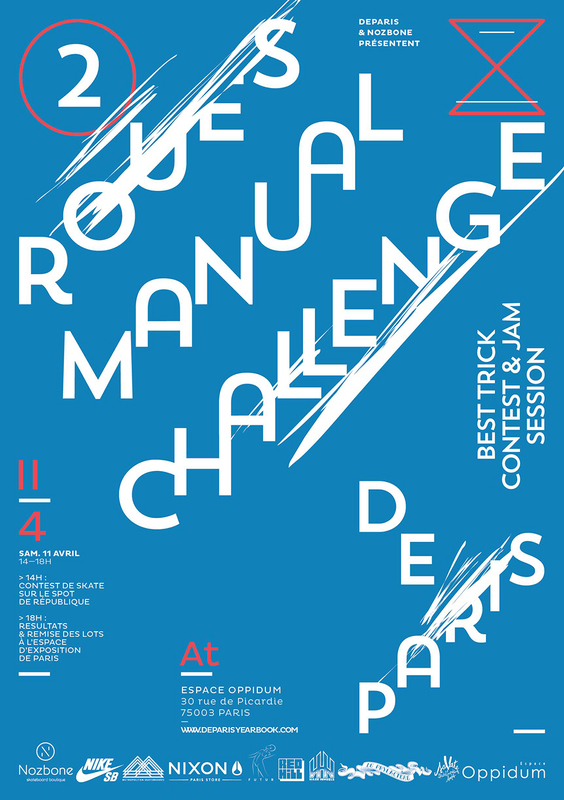 Just as last year, there is a video that is also getting released with the book, 20mn long this time, which is a kind of video mash-up conducted and edited by Guillaume Perimony, in which Yann Garin has a few clips spreaded over several sections. This launch lasted for 5 days all together actually and included a manual contest at place de la République, a flash tattoos session by Faustink on the last day of the exhibition and and another launch night at Chez B. store, which is another flagship store from famous fashion designer Agnès Troublé alias Agnès B who has been for being a long time and true supporter of street art and its culture. The board we made, which is a limited run of 38 pieces, available in 2 sizes (8″ and 8,125″), is our first in house screen printed board project. 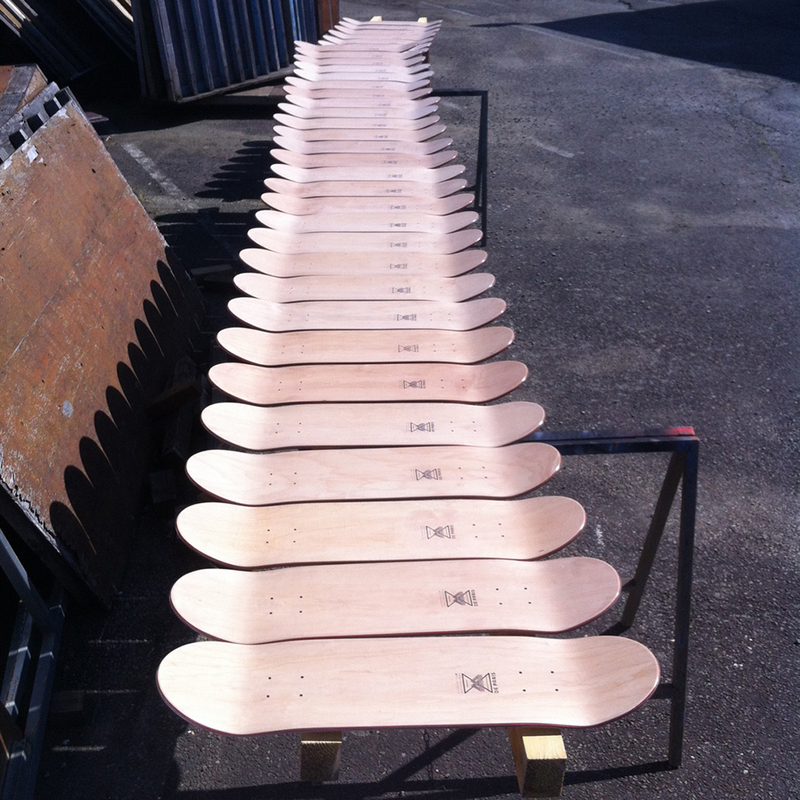 So this is a new step for us at Metropolitan Skateboards on our way to more independency and flexibility for future projects. It shows a classic parisian symbol, the Eiffel Tower, which we undertook to rethink the structure of entirely with our triple M basic logo. 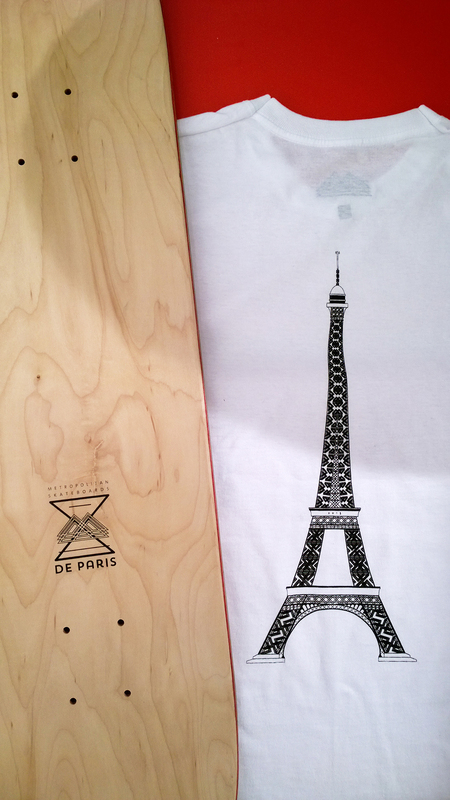 We also made a limited edition tee-shirt to match with it, limited to 30 pieces, a classic white tee with crossed DE PARIS and Metropolitan logos on the heart and our Eiffel Tower remix on the back, 90’s style. 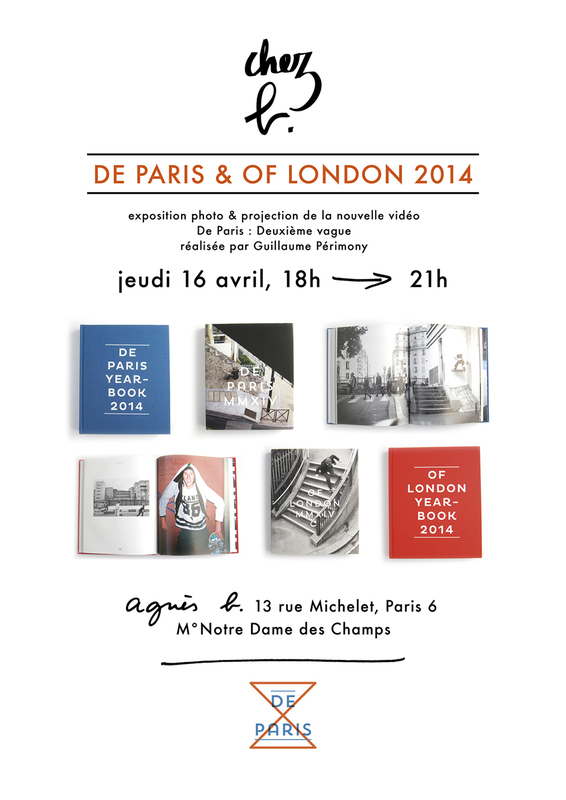 These items are available from now for a really limited time on our online store and on DE PARIS’s e-shop as well. First come, first served. 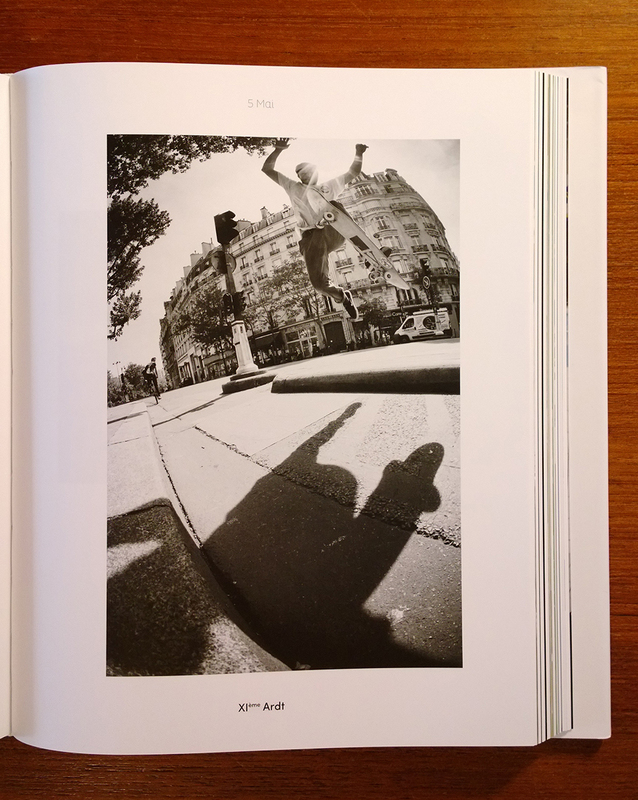 Thank you for your support and get that book if you want to keep a nice piece of evidence about parisian skateboarding’s actual revolution. It sums it all up properly.